There's nothing bland or predictable about this stand-up comic. Brendan's Liverpudlian accent and lively blend of anecdotes, gags and inspired improvisation brings a refreshing blast of cheerful North Western humour and makes him a sought after headline act and MC. 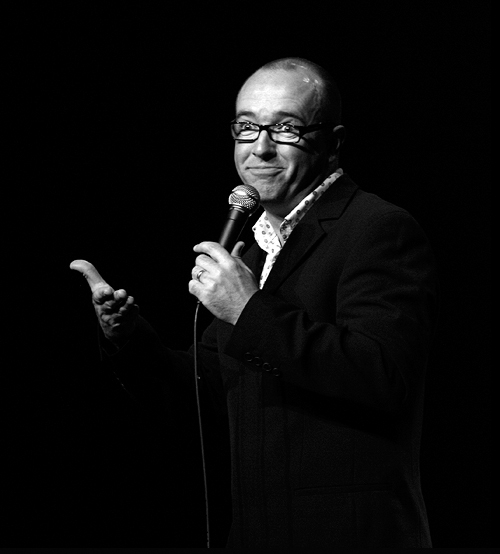 Brendan is a popular headline act and compere who can perform up to 40 minute sets as well as solo theatre shows. Brendan also hosts events and has presented for many corporate clients. Brendan is also the director of the successful Southport Comedy Festival which is now in its 7th year. Brendan has toured all over the UK and abroad in Hong Kong, China, Singapore, Dubai and many overseas performances for the Ministry of Defence including a tour of Afghanistan in 2014. Over the last three years Brendan has performed in Europe for TED Talent working for Sensatori Resorts (Thompson Holidays).